Today I’m talking with Sarah Harmeyer, who was created to gather people. Sarah has a table in her backyard that seats 20. Already a natural gatherer, years ago after being dared by her friends to be intentional in gathering people together, Sarah asked her dad to build her a table that would seat 20. She didn’t know it then but this table would become and still is the constant of some of her very best moments. 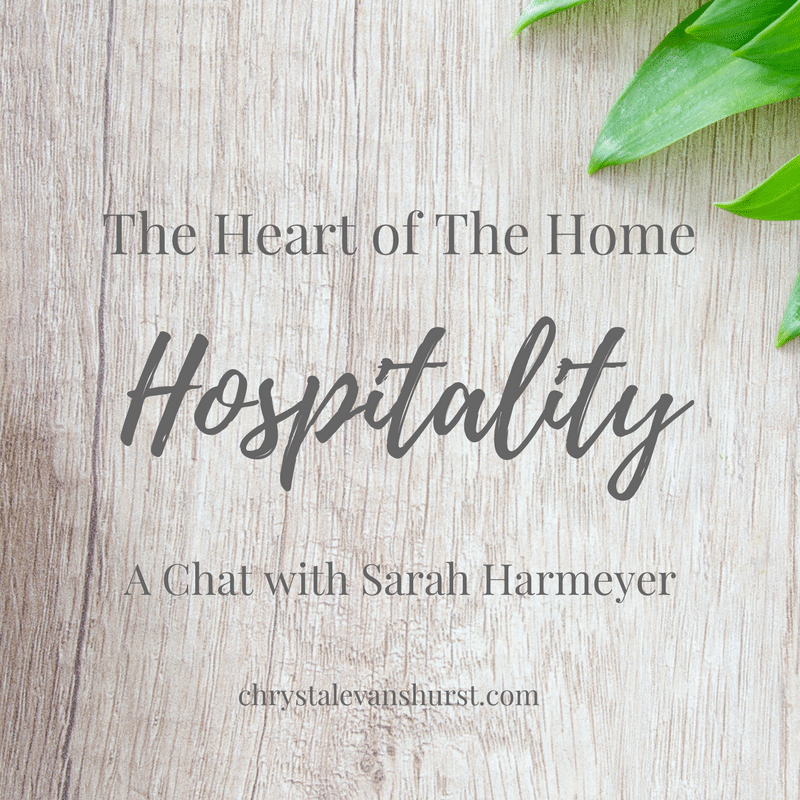 I really enjoyed talking with Sarah as she reminded me that setting the table, gathering people, and giving the gift of hospitality doesn’t have to be hard. Even if we can’t put together a Pinterest-worthy decorated table or provide the finest china at every meal, there are very simple things we can do to make others feel loved and welcomed. Sarah has invited many people to her table in her backyard and in inviting people she has also invited growth. Sarah says that in gathering people, how she loves has been changed. It has helped her to believe things for other people. This is a podcast you need to listen to. While it may look different for each of us, we are all called to love others and to be hospitable. Listen as I chat with Sarah for encouragement and a few tips on how you might do that well. Connect with Sarah on her website, Facebook, and Instagram. Did you miss part 3 of Mom Week? Check it out here! Does gathering come naturally for you or is it a challenge? 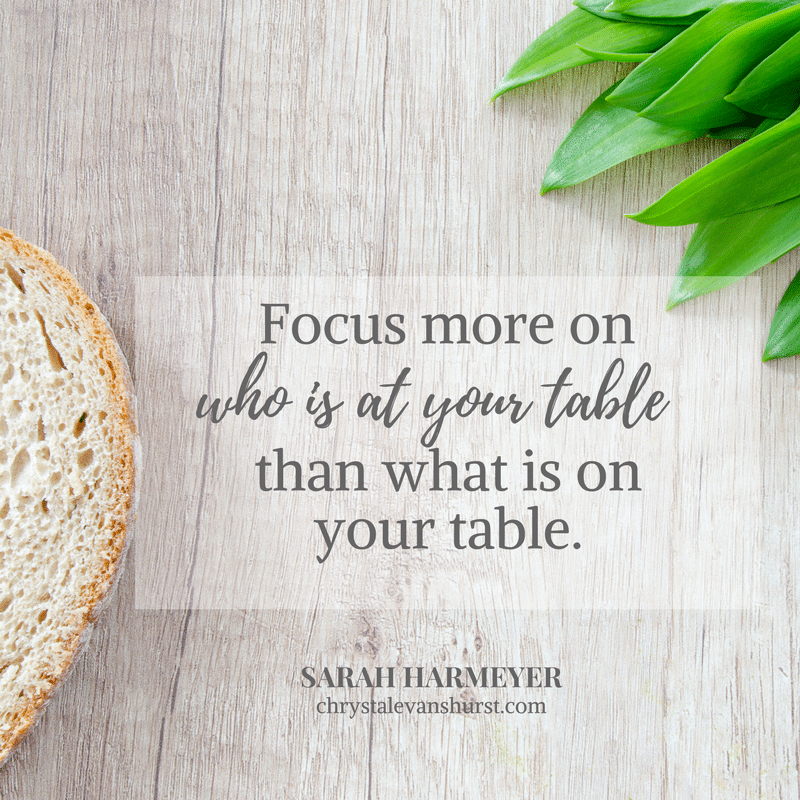 Sarah uses a table, what do you use to connect with those around you? What gift has God given you that help you love your neighbor well? Really enjoyed the podcast today. I would love to do something like this but for the neighborhood children! i enjoyed the podcast today, but I wish you had asked her about how she finances all these meals. Maybe she’s very well off? Her photos on her blog appear that way. But did you happen to know the nitty gritty of how she actually affords all that? Thanks, Chrystal! I listen avidly every week and love you so much! You have been a blessing to me! If you listen again, you will hear Sarah say that sometimes the only thing she provides is the ice so she doesn’t always provide all the food herself. Many times it is potluck. Another excellent podcast! Thanks for sharing.